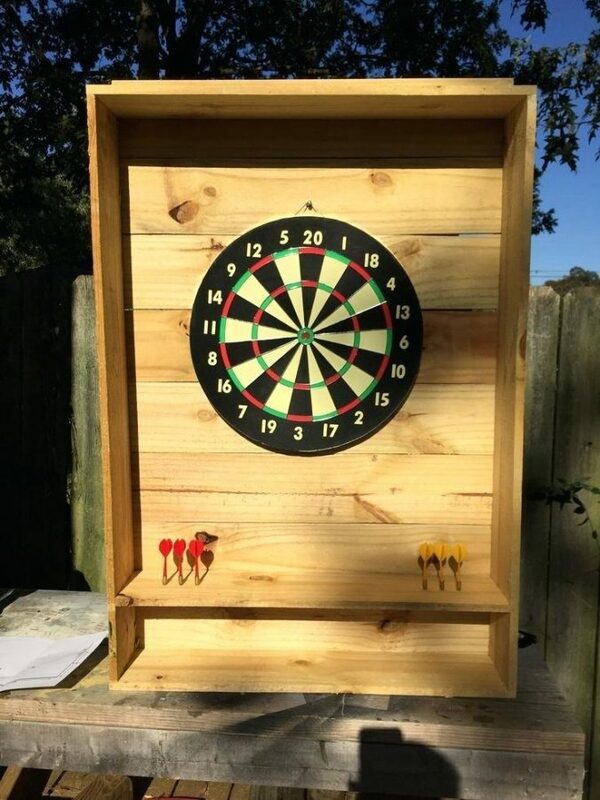 If you want to play darts outside with your friends and/or family, then an excellent outdoor dartboard is what you need. 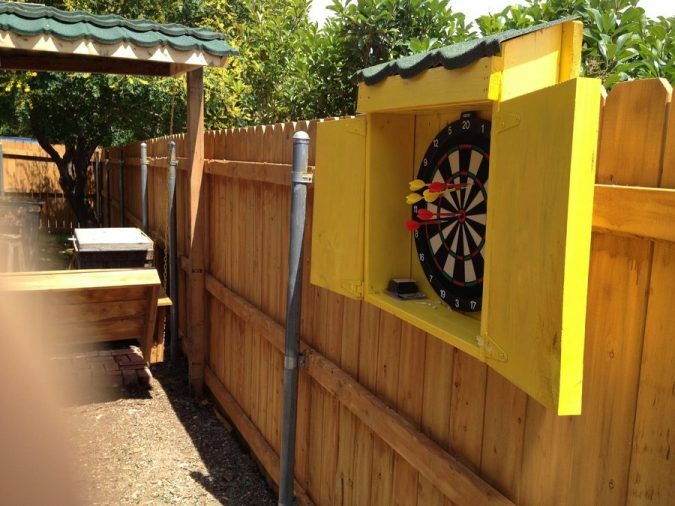 An outdoor dartboard is just like an indoor dart board, except that specific considerations need to be made. For instance, since you are putting the dartboard outside, it is going to be exposed to bad weather and other environmental conditions which could pose a threat to it. If the dartboard isn’t strong or protected from these dangers, then it will quickly get damaged the longer you leave it outside. 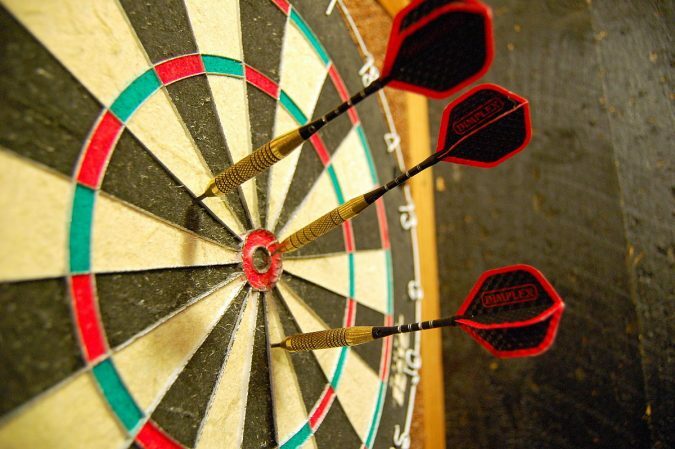 Therefore, you need to consider various aspects of your outdoor dartboard before you make a final choice on one. 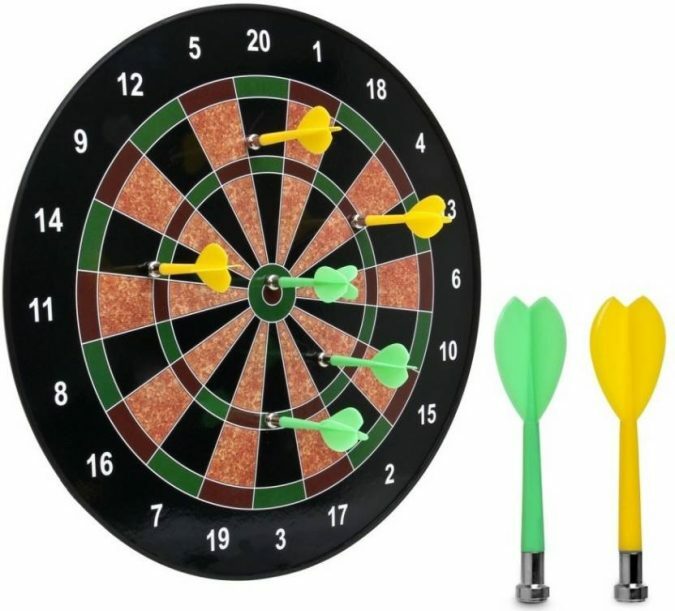 When you do make a choice, it should be an outdoor dartboard that is durable, reliable, fun, mobile, and long-lasting. What kind of material is your outdoor dartboard going to be made from? You need to think about this carefully because certain materials are more vulnerable to rain and moisture. For instance, if you choose a bristle dartboard, its fibrous surface will loosen from all the wetness. Soon it will bulge forward until the fibers just come out completely. If there is wood around the edges, then it is going to form mold and mildew. Any metal components could form rust too. Therefore, look for a dartboard which does not rust or form mold. One recommendation is a rubber dartboard because it will be able to tolerate moisture better and it won’t form rust. 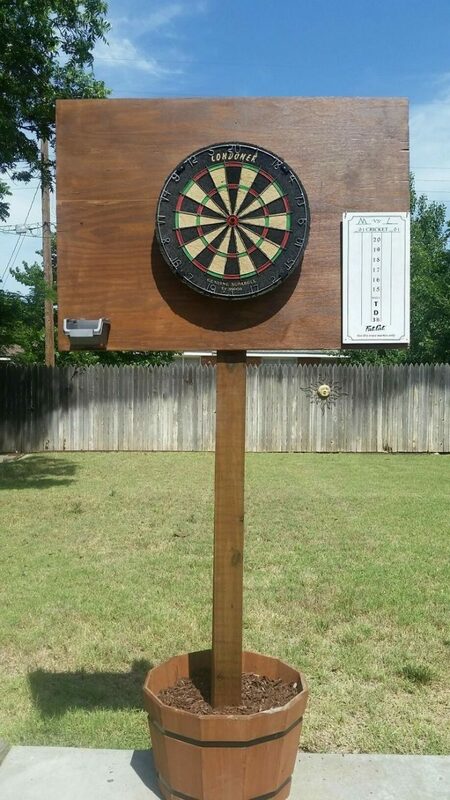 Do you want to nail your outdoor dartboard to a tree or have the freedom to move it around? 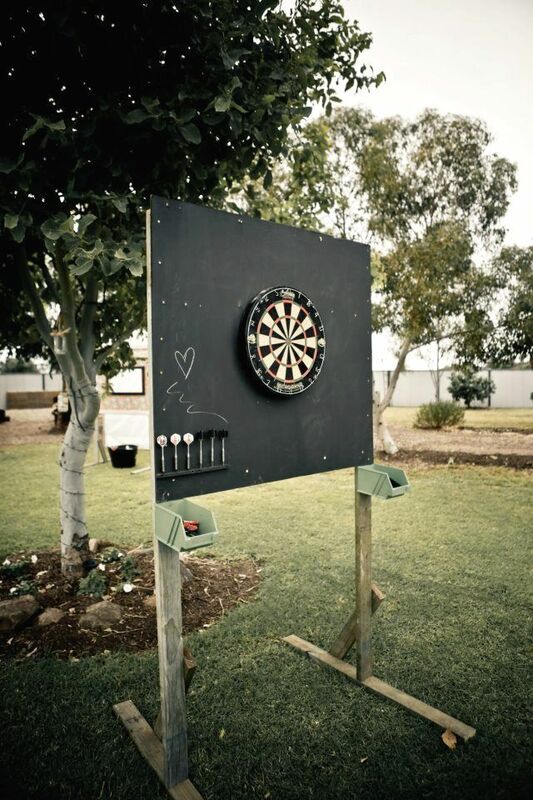 One way to avoid nasty weather is to choose an outdoor dartboard that offers mobility. In other words, it is a lightweight dartboard that you can easily pick up and carry around. The top of the dartboard may even have a small hook or hole so that you can hang it somewhere fast. 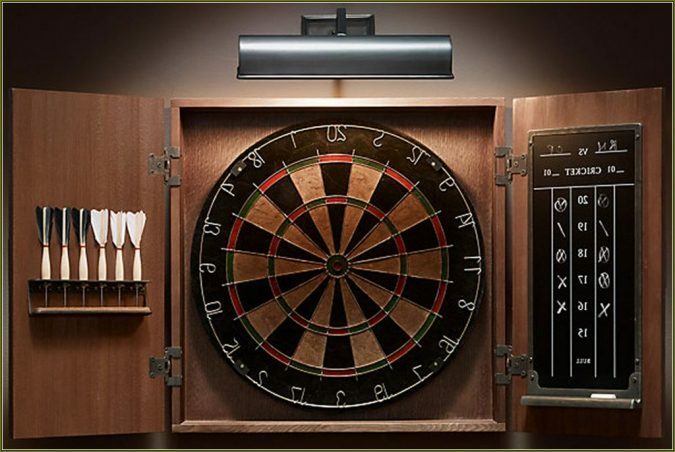 If it is a magnetic dartboard, then you may even be able to roll it up like a scroll and carry it that way. When you find a place that you want to hang it, you just unroll the dartboard. Very simple. When you hang a dartboard outside for dart games, you are exposing it to anyone who may happen to come across it in your backyard. If there are children around, then you can bet that they will find your dartboard and try playing with it. For this reason, you need to purchase a dartboard that is safe for anyone to use. 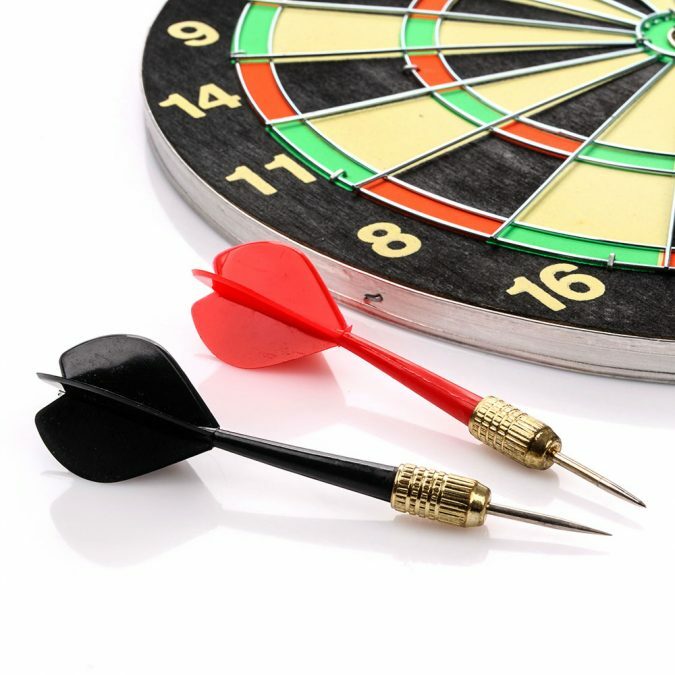 A magnetic or electronic dartboard might work for safety because their darts have soft tips. However, those boards are vulnerable to moisture as well. One idea is to find a magnetic board that has a rubber coating over it. Some people even make their own. This will protect the surface from mold spores while still allowing the magnetic dart tips to stick to the board. 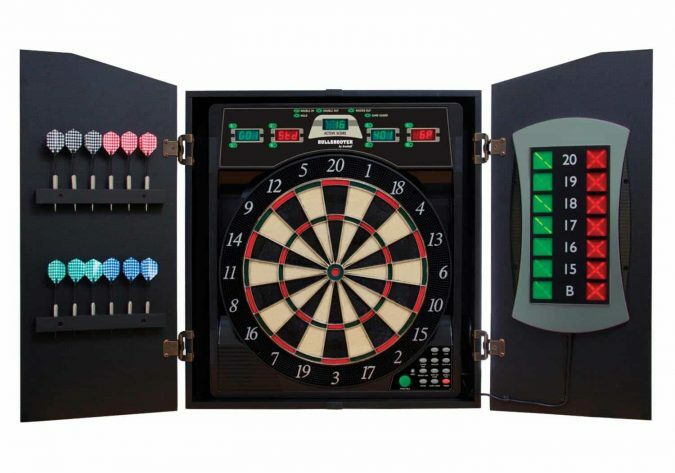 The best outdoor dartboards come with scoreboards too. Since you are outside, you probably won’t have a piece of paper and pencil handy to keep track of the current score. But if the dartboard comes with a scoreboard attached, then you will always be able to keep score no matter where you go. Sometimes these scoreboards can be stored behind the board when they’re not in use. Others are connected to the side of the board. 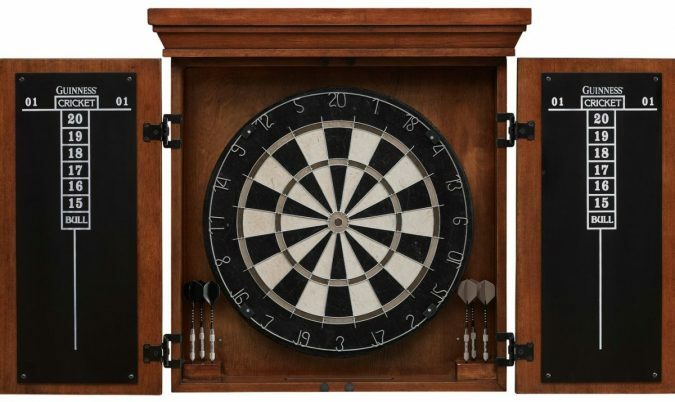 If you are adamant about purchasing a bristle or fibrous dartboard for the outdoors, then purchase one that comes inside of a cabinet. All you need to do is hang the cabinet on the outer wall of your home and keep it closed when you’re not using it. When you finally do want to use it, open the cabinet and collect the darts that are stored on the inner doors. The dartboard will be in the middle.